Fractal pattern and human face. Fractals are geometric patterns that are recursively generated and have the same overall appearance at all levels of magnification. Fractal geometry can be used to derive the complex shapes found in nature. Fractals are also used to create models for real-world non-linear phenomena such as stock market prices, plant growth, the erosion of coastlines and fluid turbulence. 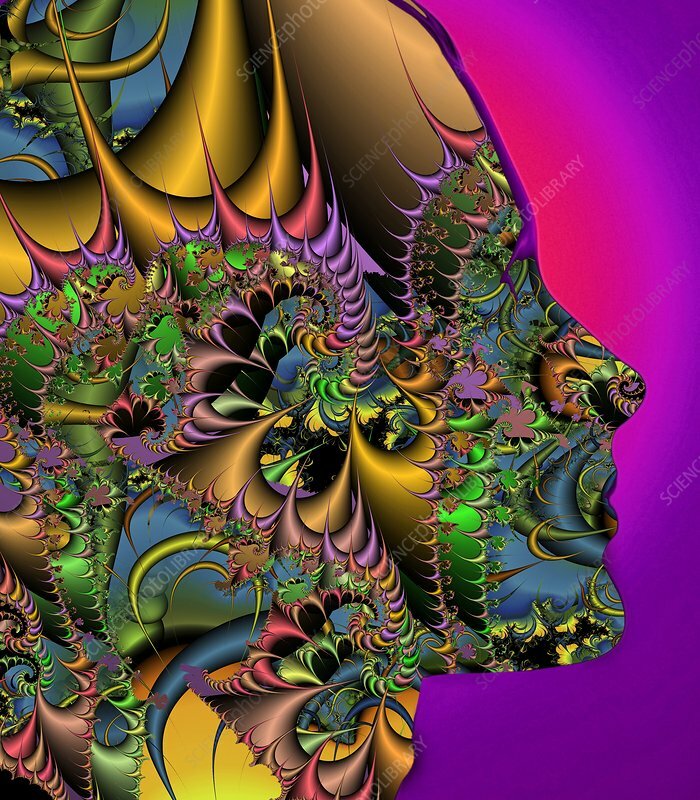 This fractal is shown within the profile of a human face.